5th generation (one-bottle, total-etch) bonding agent combines a dentin primer and adhesive in a single bottle. Light cures in 10 seconds. For use with direct light-cured restorative materials as well as for the treatment of cervical sensitivity. 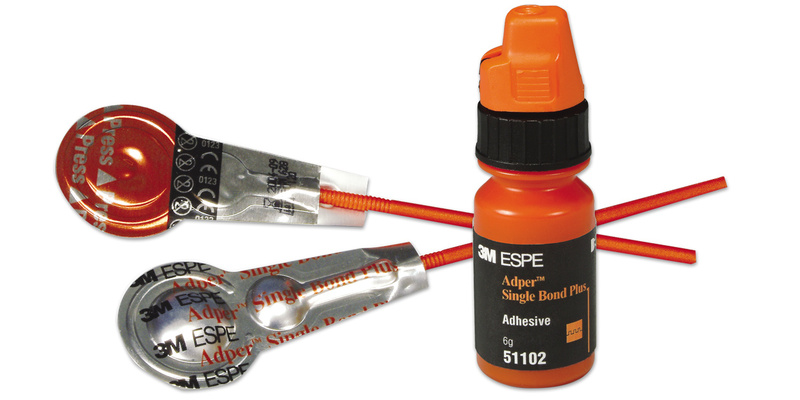 May also be used in conjunction with resin cements when bonding lab-fabricated composite or ceramic restorations. Contains: 1 x 6g vial adhesive, 2 x 3ml syringes phosphoric acid etchant, brush handle, brush tips, mixing wells, etchant applicator tips. Contains: 2 x 3ml syringes, 50 disposable applicator tips. Contains: 3 color-coded handles, 120 disposable brush tips.